Amazon recently unveiled a home services search-and-transact offering that seems to take aim at other home services searching tools such as traditional IYPs (YP.com, Superpages.com), home services portals (Home Advisor, Angie’s List) and search engines like Google and Bing. Amazon Home Services is a new and simple way to buy and schedule professional services such as furniture assembly, house cleaning, and lawn care directly on Amazon. We’ve handpicked the best service providers in your neighborhood and require all service pros to be background checked, insured, and licensed if applicable. Service pros compete for your business based on price, quality, and availability. If customers find a lower price for the same service and pro, we will match it. Pre-packaged services have upfront prices so you can add a service right to your cart. No special sign up or subscription is required. Your Amazon account is only charged after the service is completed. And best of all, all services are backed by Amazon’s Happiness Guarantee. If you’re not 100% satisfied, Amazon will make it right or give you a full refund. Amazon has excelled in creating friction-free transactions including 1-Click Ordering and huge product variety and express shipping to premium members, which is something a search engine like Google hasn’t fully been able to replicate. (Google Wallet and Google+ for Business coupons aren’t exactly ubiquitous). This friction-free expectation is what may allow Amazon to gain some attention for this new service. Price matching and 100% satisfaction guarantees have been around for a while, so I don’t think they will be much of a draw for savvy consumers. Adoption of the program may reside not just with the customers but perhaps equally with the perceived friction on the side of the business owner. How difficult will it be to become a “handpicked” “best service provider?” (you must be invited by Amazon and pass a background check). The program is starting in just a few areas but will expand in the coming months. See below for a projected service map. What are your thoughts? Are you a business owner? Would you want to participate in this program? 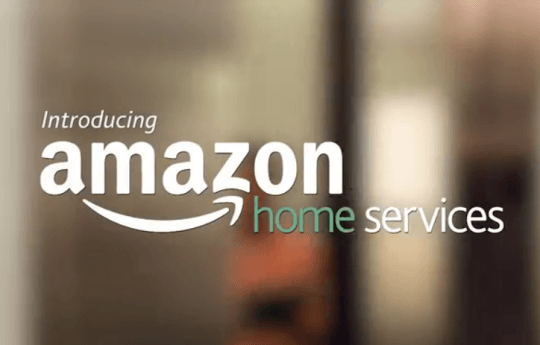 What about consumers, are you interested in contracting home services via Amazon.com?